This Institute came into existence on 1st April,1976 when the India Centre of JALMA was officially handed over to the Govt. of India and subsequently to the Indian Council of Medical Research. This was named as Central JALMA Institute for Leprosy in 1976 and has been renamed as "National Jalma Institute of Leprosy and other Mycobacterial Diseases" in 2005 to reflect its broader research areas. This Institute was originally established as "India Centre of JALMA" in 1966 and was managed by a Tokyo based voluntary organisation -JALMA (Japanese Leprosy Mission for Asia). This Institute is one of the fine examples of international human links and compassion for each other. The Institute has completed 37 years of its existence under ICMR. The Institute has a major thrust on leprosy (40%), relevant areas of tuberculosis and other mycobacteriosis (40%), HIV (10%) and Filariasis etc (10%). During its existence as a research Institute under ICMR the scientists of the Institute have continued to contributed on almost all aspects of leprosy, several cutting edge areas of tuberculosis ( DNA fingerprinting methods, drug resistance etc), selected areas of HIV-AIDs and has now made forays in to related problems like filariasis. 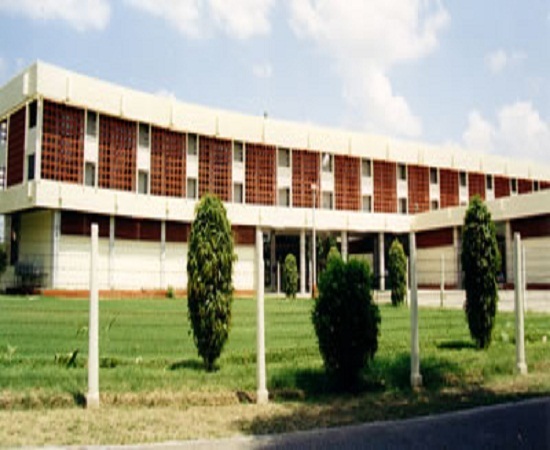 The Institute has state of the art facilities like BSL-3 labs, DNA chip lab, Proteomics Lab, all well equipped laboratories, modern hospital and well set Field Programmes at Ghatampur as well as Agra. The Institute has established its leadership in all important aspects of leprosy and mycobacterial research. The Institute is participating in and co-coordinating several multi-centric studies on Leprosy and Tuberculosis. The institute conducts research projects in the thrust areas of Leprosy, Tuberculosis and HIV infection and encourages students to participate in these projects. During the last 26 years under ICMR administration, the Institute has made rapid progress in almost all aspects of leprosy research. The scientists of the Institute have published 622 papers which include 440 publications in major national and international scientific journals and 182 publications as chapters in the books, proceedings and research bulletins. These publications include 200 papers on clinical research (Clinical disease, histopathology, ultrastructural aspects, medical and surgical treatment of leprosy), 377 papers on various areas of laboratory research (Immunodiagnosis, other immunological aspects, host metabolism, bacterial metabolism, growth and viability, identification and typing of mycobacteria, molecular biology, drug metabolism, host genetics and miscellaneous areas) and 45 papers on other aspects such as biostatistics, social aspects, epidemiology and HIV-AIDS.